This week I have picked out three bits of linkbait with the common theme of travel and adventure. To recap quickly on the aims of this post (using some feedback from last week), I want to: highlight a few pieces of linkbait, discuss why they worked well and to think about what we can learn from them. 1. Bootsnall is a wonderful self-proclaimed 'Travel Network'. They produce a lot of great content and this is just one example: Nine Most Disappointing Attractions in Europe. The piece got 27 SU reviews, 19 upvotes on reddit and just 2 Diggs. Yahoo Site Explorer reports 65 links. 2. Outdoor Online is a huge site that, again, bashes out a lot of great content. However, this week's biggest hitter, this article, is really old. It was picked up and submitted to reddit by a writer who was researching "death by freezing". The piece got 6 reviews on SU, 1593 upvotes on Reddit and just 5 Diggs. YSE reports 435 links but it's obviously hard to tell which of these came as a result of the piece recently being linkbaited. 3. 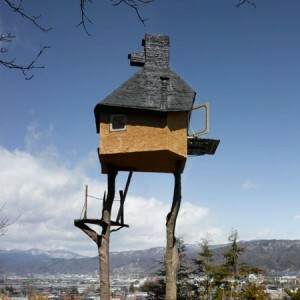 Lastly, dezeen.com, a design magazine, featured a tea house in Japan; it went hot on digg with the headline "The scariest Teahouse ever [pics]". The piece got 7 reviews on SU, 40 upvotes on Reddit and 705 Diggs. YSE reports 208 links. The Bootsnall is a similar example to last week's MacLife linkbait. Good content, appeal to their target audience and in a list format. This post also gets a lot of points for controversy. Going against the grain is a well recognised technique of grabbing attention. This post taps into something more than that though. I think it has something to do with the use of 'most disappointing' rather than 'worst'. People love to complain and you'll notice that the experiences on this list are mostly ones that the majority of people reading this will have experienced some of themselves. The title brings out the camaraderie of its readers. The Outdoor Online post is a bit of an anomaly but I think it's definitely worth thinking about why it did so well on Reddit. Firstly, it was submitted well. Reddit's a very sharp crowd but this is so obviously a genuine submission no-one's going to object. Secondly, read the post. It's extremely well written- you'll get pulled in right to the end even if you've got a hectic day. This kind of magnetic content is gold-dust and obviously has a pricey time and effort bill attached to it. Lastly, it's a very personal story. If you look at the comments on Reddit, you'll see that a vast majority of them have some kind of experience of cold to share. Lastly, the Dezeen post (which, I know, is not strictly a piece of travel linkbait). The images in this post are what makes it work. There are 13 of them on one page and very little text to accompany. The personal story of the tea house architect is told briefly along with some information about its construction. I really love this kind of post and actually find it difficult to do; I always want to 'bulk out' the images, when in fact, if left to their own devices, they'll tell the story themselves. Lots of contradictions today. I think the strongest theme between the three pieces is about connecting with the reader, whether it be through camaraderie, anecdotes or a catalogue of imagery.